Recently we implemented some home-grown MODs to a HIWATT 20H amplifier for Rick Altavilla, now on guitar for home-grown Central Coast band Sparrows – fronted by the one & only Scotte Woods (formerly of One Dollar Short). Rick purchased this amp new, fully expecting that it would sound like a scaled-down version of the great original HIWATT amps. 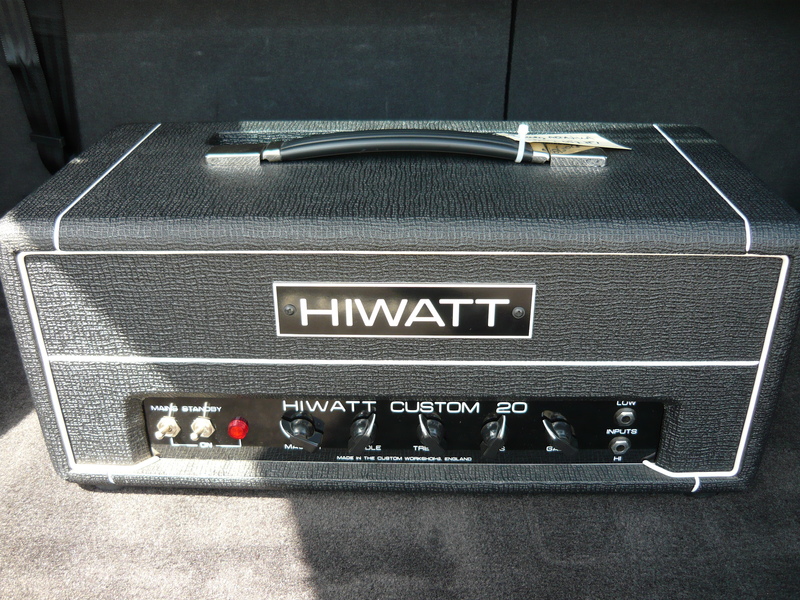 Unfortunately it sounds & performs nothing like an original HIWATT. 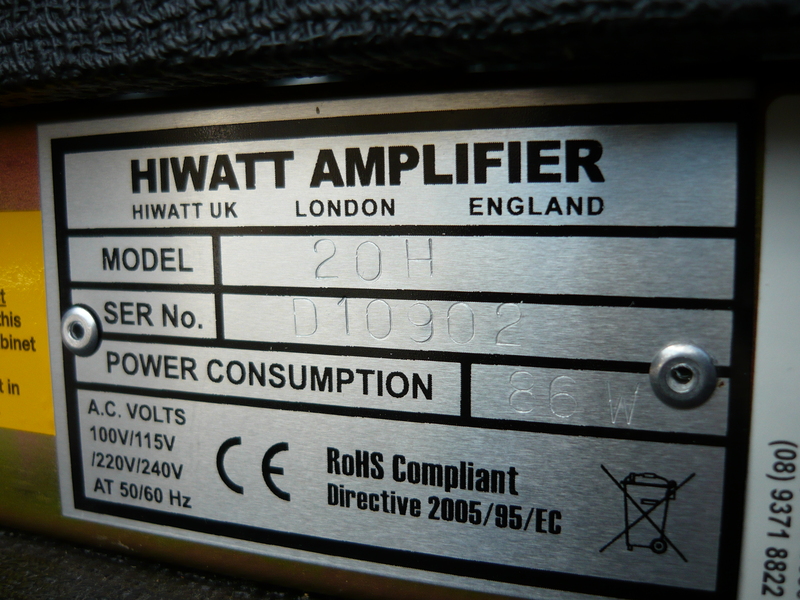 This is not a cheap amp either – it’s actually a rather expensive one, even allowing for the fact that it is hand-wired from the UK. To say that the guys from Sparrows were disappointed with this amp would be an understatement. The 20H has some design problems in common with the Marshall C5 discussed in our previous blog. Much of the available gain is thrown away due to some bizarre design choices and the 3-band passive EQ just doesn’t work at the desired guitar frequency ranges. Indeed, the 20H sounds really flat. Basically, you could consider this amp to be a kind of modern AC15, with a couple of sequential gain stages, a buffer stage driving the EQ, a pre-PI stage master-volume, and a zero negative feedback power amp employing a pair of cathode-bias EL84/6BQ5 output valves. Such an amp design potentially should sound mighty fine. The power amp & PI (phase-inverter) stage were OK – no apparent problems there, so we concentrated our attention on redesigning the preamp, within the constraints of the existing electronics & layout, to achieve a useable amp. We reconfigured the gain stages to get some drive & balls from the amp, & revoiced the EQ as per the C5 to achieve a useable & effective sweep from all controls. The 20H now sounded like a baby “British” amp from the 60s golden-era, which is not a bad result at all ! Thanks Rick & Sparrows. IR. 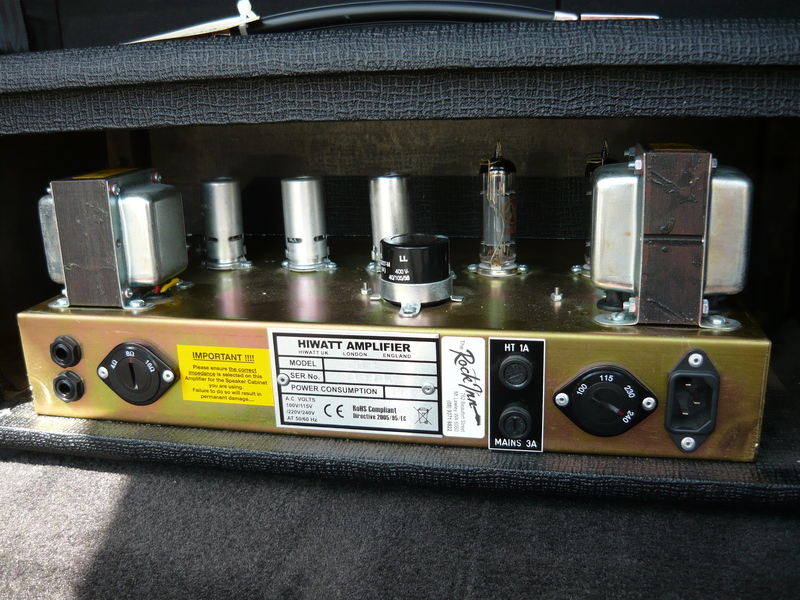 This entry was posted on December 10, 2013 at 10:20 am and is filed under Amp Repair, Amps. You can follow any responses to this entry through the RSS 2.0 feed. You can leave a response, or trackback from your own site. is there any mods for the t10? not very happy with it. sorry, not at this point in time; IR.